Saturday, June 16, 2018, 11 a.m. – 12:30 p.m. 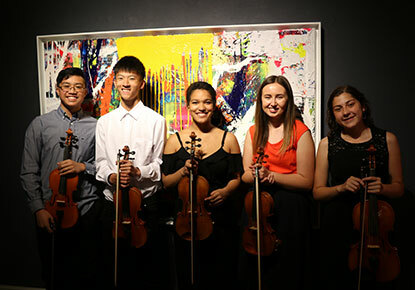 Enjoy a special morning youth concert of classical music by The Key to Change. One June 16th, the Central Library will come alive with music. Drop by to enjoy a special Saturday outreach concert by talented young artists in The Key to Change. Founded by Dr. Quinton Morris, The Key to Change provides string lessons to middle and high school students who live in South King County. The performance will be followed by a brief Q & A.